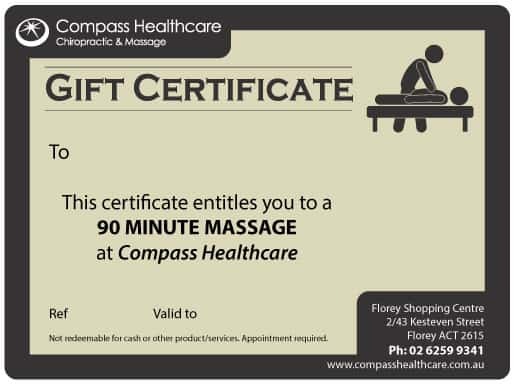 Why not spoil your friend or that special someone with a massage gift certificate? Appointments are necessary to avoid disappointment. Certificates have an expiry date of 365 days from the date of purchase (ie 12 months).